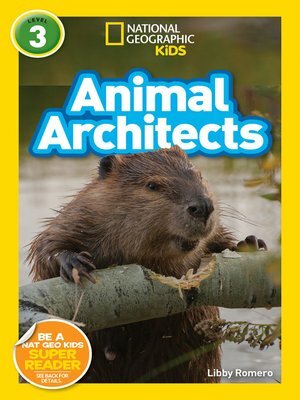 Independent readers will learn all about nature's most amazing builders in this new leveled reader from National Geographic Kids. Meet brilliant birds, inventive insects, ocean architects–and more! Ever wondered why beavers build dams? Or how spiders weave their intricate webs? In this reader, you'll meet brilliant birds inventive insects, and amazing mammals that all share a special skill. Packed with beautiful and engaging photos, this leveled reader introduces kids to the most extreme engineers of the animal kingdom. National Geographic Readers' expert-vetted text, along with brilliant images and a fun to approach to reading, have proved to be a winning formula with kids, parents, and educators. Level 2 text provides accessible, yet wide-ranging, information for kids ready to read on their own, perfect to encourage the engineers and explorers of tomorrow!